Chauffeur driven Limos for both business and individual clients. If you want limo hire in the West Midlands, trust Finishing Touch Cars to give you nothing less than the best! Choose from our range of limos in the West Midlands from the elegant Baby Bentley Limo to the all American Lincoln Stretch Limo. All our limos are custom made, so you can be sure to have an absolutely unique experience! Give us a shot to experience true customer satisfaction! Lincoln millennium shape limousine - the Wave Attitude version of which there is only a handful available in the country. Exclusive Range Rover look limousine customised to seat up to 14 passengers is only available here. Massive 140 inch long stretch limousine capable of seating up to 14 passengers in comfort and style. Ultimate custom made pink hummer limo. Specially built for us in California dedicated for the ladies. The ultimate party limousine is the Hummer with internal lighting, mirrored ceiling, impressive bar, and multi screen display. Whether it's a special night on the town or a wedding to remember, Simmer in the heat off the Hottest limo in town. 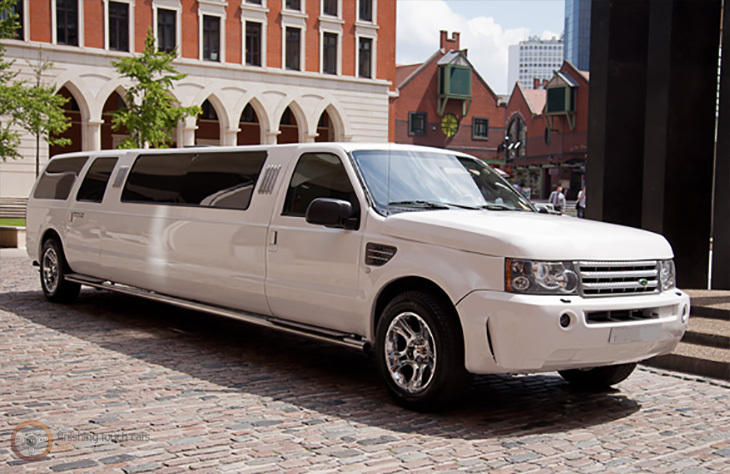 It is built to be the ultimate Party Limo with its roomy interior designed with everything you need to start a party. Trust only us for limo hire West Midlands! We are the forefront of luxury limousine travel and constantly adding new vehicles to our fleet. We can provide you with the vehicle of your dreams. Our effortless combination of competitive rates, top of the range limos and outstanding customer service means that when it comes to limo hire, West Midland comes to us. 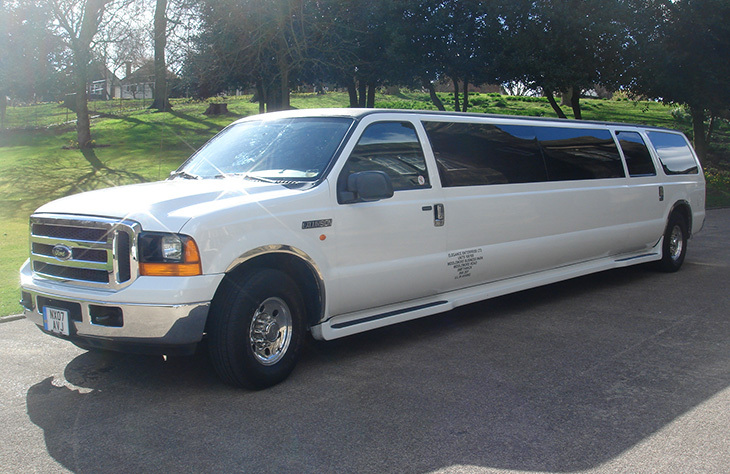 Birmingham limos are popular for a variety of occasions including nights out and Birthdays. Listed below are just some of the areas our Wedding Car Hire Company and Limousine Hire Service cover. 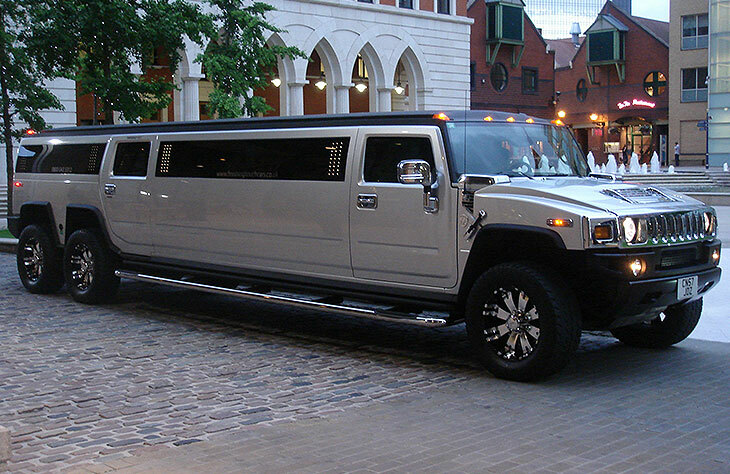 Finding a good price on limo hire West Midlands isn’t always as easy as it seems. There are plenty of things to consider before you make a booking. While cost is important, you also want to make sure that you are getting a reliable service. Finishing Touch Cars has been in operation since 1985. You are guaranteed a professional, friendly and affordable service. Our chauffeur driven limos are available for any occasion. With one of the largest selections of limo available, you should be able to find something to suit your special occasion. Why not contact us now to see which of our exclusive limos are available on your chosen date? There are so many places to visit in the West Midlands, and it is one of the most popular counties in the country. So if you’re intending to hold your wedding in the West Midlands, look no further for the best wedding cars a company could offer. Here at Finishing Touch Cars, we give you a range of vintage and modern cars to choose from, including the 1924 Vintage Convertible and Daimler DS420 Limousines, plus Bentley Arnage and Rolls Royce Phantom. So call us now to see how we can help you with your wedding car hire requirements and what we have available for your chosen date. 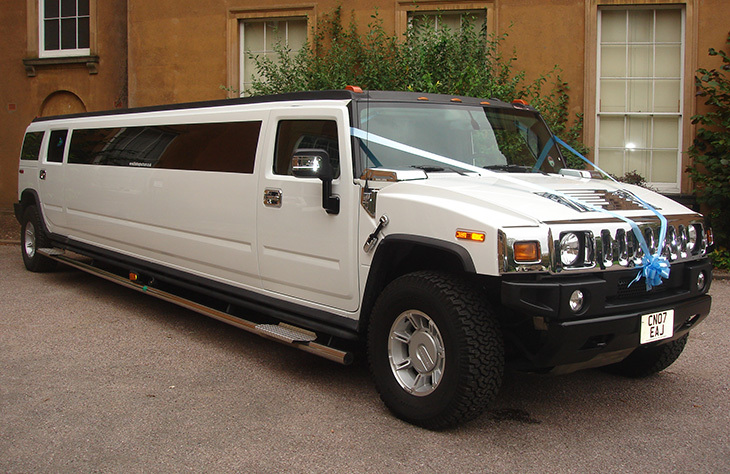 Hummer limo hire West Midlands is one of the most requested hire services in the area. It isn’t hard to see why many people choose the Hummer over any other limo. It has a huge presence on the road. Wherever you go, heads will turn and you’ll feel like a real VIP. We offer 4 different models of Hummer and each has been specially designed for us. The silver Hummer is popular with weddings and stag parties. 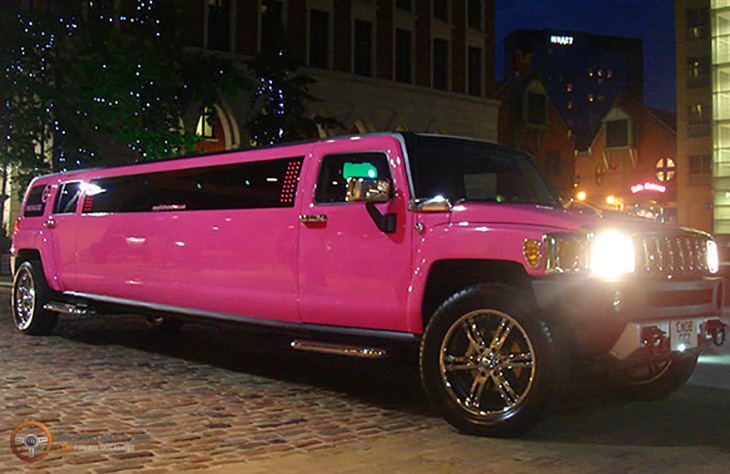 The pink Hummer is popular for proms and hen parties. The white Hummer is ideal for any celebration and the latest Range Rover look Hummer is perfect for weddings and birthday parties. You can contact us now to see what packages we currently have on offer. For times when you really want to party, party bus hire West Midlands can help. 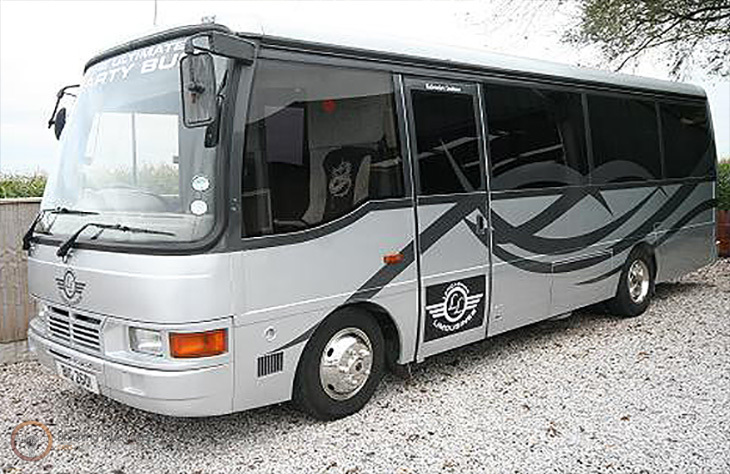 You will feel like a celebrity in this club on wheels. The party bus is one of the newest services offered by limo hire companies. It is designed to have everything that you could possibly need and want on a night out. If you don’t want to step outside the bus all night then you really don’t have to. There’s a fully equipped bar, a dance pole and an amazing sound system. The only thing to keep in mind with party bus hire West Midlands is that it is the most expensive service on offer. So it is only recommended to book this bus if you are part of a large group of people. The Rolls Royce brand is known across the world for their high quality and luxurious vehicles. Our Rolls Royce car hire offers are very popular with those hiring the cars for weddings, as they stand out with their bold looks and is sure to make any occasion a memorable one. The models we have include the Ghost, Phantom and Drophead Convertible. We have many satisfied customers, who would recommend the cars and our services. You can enquire to check availability, prices and can even view the vehicles before deciding on which Phantom car hire option to choose with the help of our staff. Finishing Touch Cars provides you with the best Bentley hire service, the West Midlands has to offer, and we even have one of the biggest fleets in the county too! Our Bentley car hire is a great way to celebrate a special occasion or event, and can make it even more memorable and enjoyable. When and if you’d like to view the vehicles we have to offer, you will see that our Bentley hire cars are always maintained to the best standards, and are what you’ll get on the day. The Bentley models we have to offer are the Flying Spur, Arnage and Mulsanne. West Midlands is a county situated in the west part of England. It includes towns and cities such as Birmingham, Wolverhampton, Solihull and Walsall. The modern county has only been around since 1974 and these days it is one of the most popular counties in the country. There are so many places of interest located in the West Midlands. One of the top attractions in the county is the West Midlands safari park. This provides you with a great family day out. Other great family attractions around the county include Dudley Zoo, Cadbury World, ThinkTank Millennium Point and the Sea Life Centre in Birmingham. 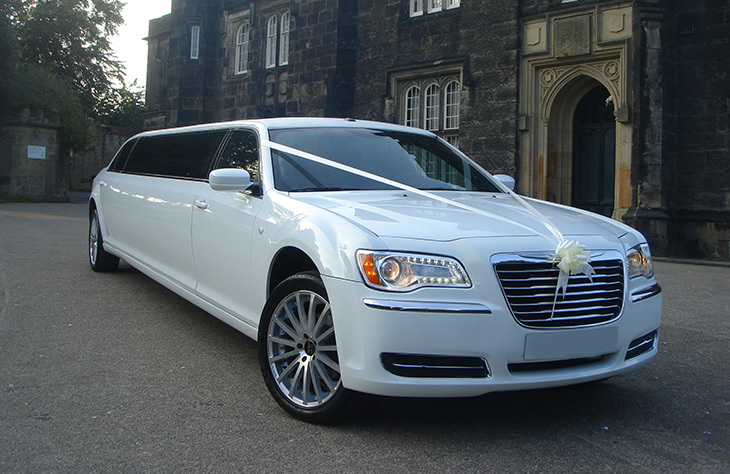 Finishing Touch Cars provides you with the best limo hire West Midlands service. If you are a resident in the West Midlands you may be looking for a great way to celebrate a special event. It could be a birthday, anniversary or even your prom. Whatever the occasion, limo hire can help to make it even more memorable. Why not take a look at our many exclusive hire cars available on our website. You can contact us now to arrange a viewing or to book any of the cars in our exclusive fleet. Busy social scene and thriving businesses in Dudley known today as one of the best places to go for ‘eating out’ in the Black Country. Trying to find a Limo? 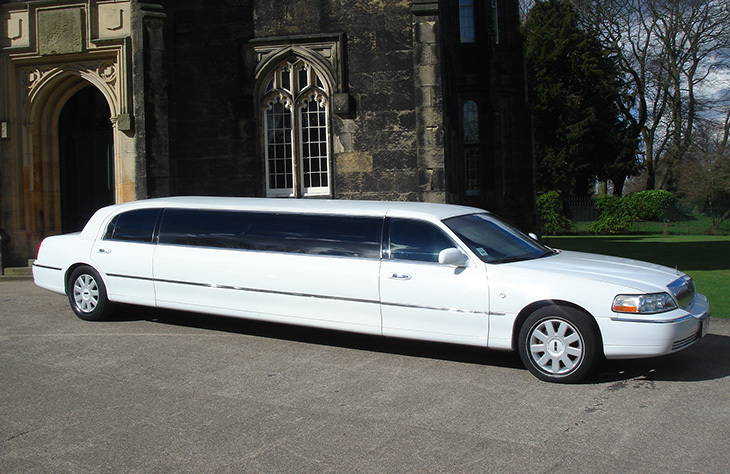 Limo Hire Tamworth is a popular choice and we can provide what you are looking for. We offer limousine hire packages right across the Oldbury area so if you are local you can take advantage of our services. We offer superb rates to make it easier to sample travel by limo and we offer the utmost professionalism in all aspects of your journey. Known as the ‘vibrant city’ with a 25,000 strong nightlife milling through the clubs, theatres and bars during evenings, Wolverhampton enjoys an active social life from its residents and tourists alike. Sutton Coldfield features two of the foremost Residential Estates in the Midlands, Little Aston Park and the Four Oaks Estate, both home to the area's multi-million pound houses and some outstanding cars. This area of Sutton Coldfield in general is regarded as one of the most prestigious locations in the West Midlands and Central England and we can offer a range of prestigious limos to match. Bromsgrove, Worcestershire is a small, sleepy market town in the heart of the midlands that enjoys the good things in life... Great social life and excessive motorways to allow our limos to take you anywhere in style. Droitwich is a perfect wedding destination. The beautiful town is situated just 5 miles from Worcester. No matter where you are getting married in Droitwich, we can provide you with the perfect wedding transportation. Situated in Staffordshire, Burntwood is a popular wedding destination. Looking to get married in a more upmarket venue, the Hotel at Burntwood Court is a fantastic choice. Couples looking to get married in the area often choose the Rugeley Rose Hall & Theatre. It offers flexible informal wedding packages. Our cheap limo hire packages open up all sorts of opportunities for people in Tysley on birthdays, prom nights and other special occasions. Those looking to have an informal wedding ceremony can opt for The Premier Suite. It caters for up to 300 people and it is perfect for your wedding reception. 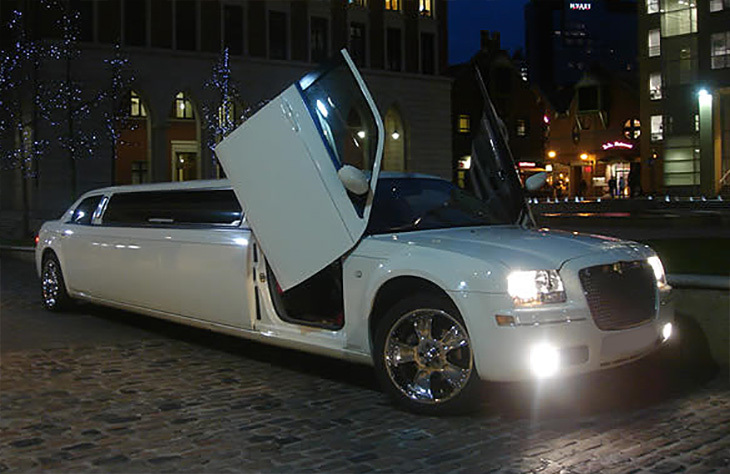 Limo hire is the perfect way to celebrate any special occasion. No longer do you have to pay a fortune to experience this luxury service. We have more than 30 different cars in our fleet. Have you considered celebrating in style with pink limo hire in Nuneaton? Whether you choose the very pink, glitzy Hummer or the more sleek H2 Hummer with Double Axle, you are guaranteed a night that you will never forget. No matter what the occasion, limo hire in Stafford is the perfect way to celebrate. If you’re struggling to find affordable, luxury hire then look no further. 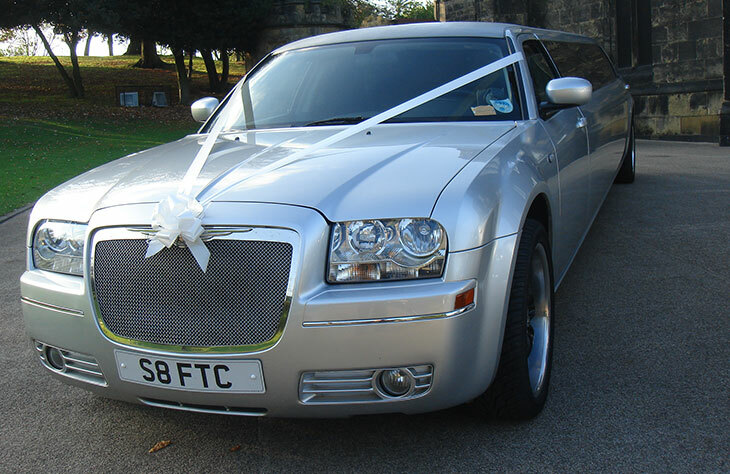 On your search for wedding limos in Stoke, you’ll come across quite a varied selection. We have more than 30 cars in our fleet. The Hummer is one of the most impressive hire cars available on our books. You cannot fully appreciate just how impressive this limo actually is until you see it up close. Sometimes you want more than the average hire car to make your special occasion memorable. That is when the party bus can come in useful.